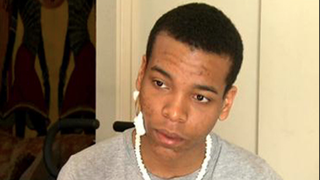 Frenswa Raynor of Oakland, Calif., is one of the fortunate innocent, young black men to survive a police shooting. The Oakland City Council voted this week to settle lawsuits surrounding his near-fatal encounter for $275,000, the San Francisco Chronicle reports. The shooting occurred in 2013, when Frenswa was 16 years old. The police responded to reports that a group of black teens had robbed a restaurant employee at knifepoint in downtown Oakland. Someone claiming to be a witness told authorities that he was following the suspects and directed the police to Frenswa and his two friends. Officer Bryan Clifford was one of several officers who confronted the boys near the restaurant. Clifford, a field-training officer, said that Frenswa moved his hand toward his waistband. Clifford fired his weapon, but fortunately the bullet only grazed Frenswa’s face. The injured teen was transported to a hospital and then to jail, but the police released Frenswa and his friends the next morning after finding out that the teens were innocent after all. The council authorized a payment of $230,000 to Frenswa and $45,000 to one of his friends. At the public meeting, Councilwoman Desley Brooks called those amounts “despicable” and “insufficient” because the teens did nothing wrong. “We ought to make sure that we right the wrongs that happen, and I don’t think this settlement represents that,” Brooks said. The Chronicle noted that her comments drew loud applause from the gallery.